Ingredients: 100% all natural organic virgin coconut oil. How to Give: Give 1 tsp per 10 lbs (5 kg) body weight. Start slowly and increase gradually. Topical: Massage into hot spots, dry, itchy, chaffed skin, or cracked paws to speed healing. Note: Oil naturally solidifies under 76°F. Re-liquify oil by placing jar in a shallow bowl of warm water. Keep away from direct sun. My vet suggested I added coconut oil to my dog's diet because of skin itch and dry gums. She absolutely LOVES it! I added the coconut flakes to her food and at night time, she gets the coconut oil - she actually likes licking it out of the jar. I just say coconut time and she is there....I really thinks this has made a difference in her coat and gums and best of all, she loves it. Have ordered several times and have told friends with dogs about it. Only thing that I may add is that it should be kept in a cool place because it can turn to liquid if left out and it's warm in the room...other than that, it is great stuff! 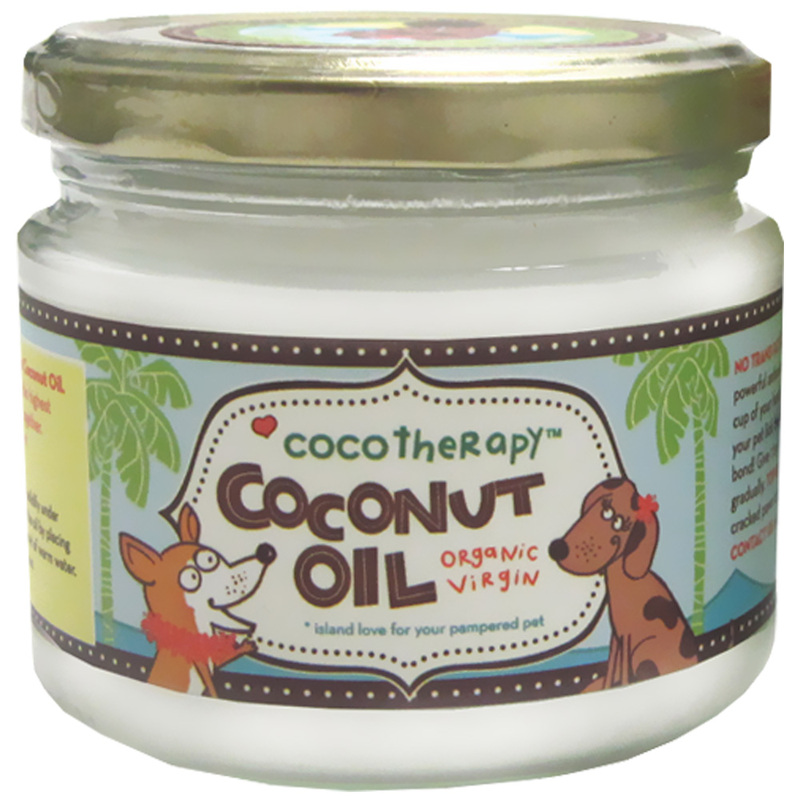 Merchant Response:Karen, you found a that coconut oil for dogs can work wonders and they love it! It does so many healthy things for your dog's body. Cognitive is one of those benefits. Thank you for the kind review. Prosmust be good tasting because dog loves it. Chips are great too - just spinkle a few on her food. Tried organic that you can buy at a health food store but she didn't like it. Consonly that it could melt if not kept in a cool place but put in the refrigerator and in a couple of hours back to solid.